So you're thinking about planning and goal setting and wondering how you should plan? When I am setting my goals a little of planning usually comes with the territory. After reading a few simple tips I have for you you will be ready to plan your goals in both the short and long term. Made your flexible plan yet? I find it helps to at least plan in terms of deciding what I hope to achieve in the short term and in the long term. I don't consider this absolutely necessary but it certainly doesn't harm to think what I might take on first, second and third for example. To be honest there is probably a plan in your mind anyway. All things lead to something else. It's quite a natural thing to plan ahead. Most things are achieved in steps. Building a website for example requires a rough plan, research the idea, decide on the framework and the layout, write the content etc etc. SO I say with planning and goal setting keep things simple, here is a way to knock up a quick and easy plan. I may have 20 things I wish to achieve, all of them right now! Because I can't focus on 20 things at the same time, as I am not a computer, I find it helps to focus on 1 or 2 at a time. Perhaps 5 a year. Then spread the rest over 3, 5 or 10 years and adjust whenever I feel like it. In this way I combine planning and goal setting to lead to better results. When planning, one way is to start with a list of long term goals then prioritise them, then decide realistically what can be achieved this year. Then prioritise the goals for this year and decide what can realistically be done this month, next month and the month after. When creating your plan, you may want to consider the weather, big events that are coming up, holidays, then set goals in a way that fits. Also remember, please have a fluid plan. Dates and times and goals can be changed whenever you like. No need to be strict with yourself. Enjoy this. Although I usually have perhaps around 5 or 6 bigger goals in a year, as I said I usually only really focus on 1 or 2 at a time. This works reasonably well for me. I can focus and concentrate well when concentrating on one or two targets. Any more than this and I have a tendency to not take new concrete action towards any of my goals and not move solidly to completion. If that one goal requires breaking down into mini shorter term goals then I do that. Even if it means having weekly goals. From my long term goals, I then create short term and sometimes shorter term goals that fit with the yearly plan. So in summary, there is no one way to do this. There are many ways to make a plan. 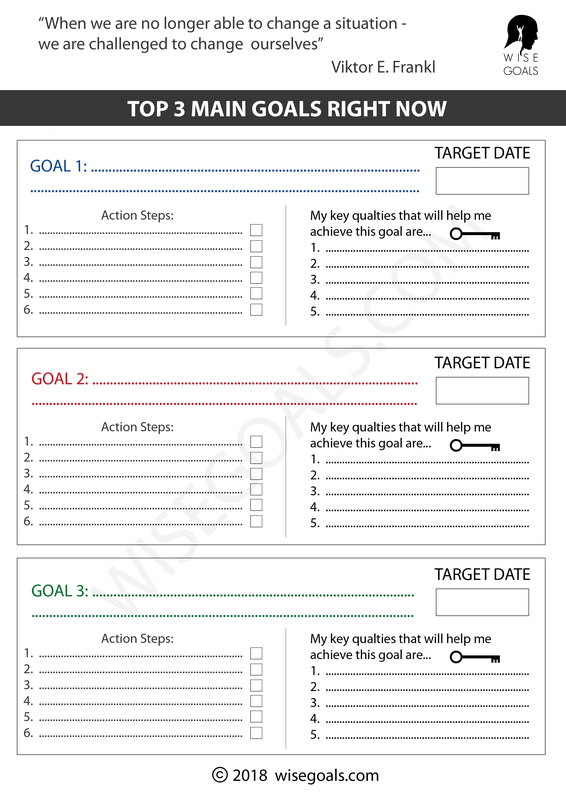 Even having 3 yearly goals, and deciding which months you will attempt to complete each goal is a plan. You can begin with long term goals and work back or begin with short term goals and discover long term goals. Or do a bit of both. Either way, as they say, a little bit of planning goes a long way. 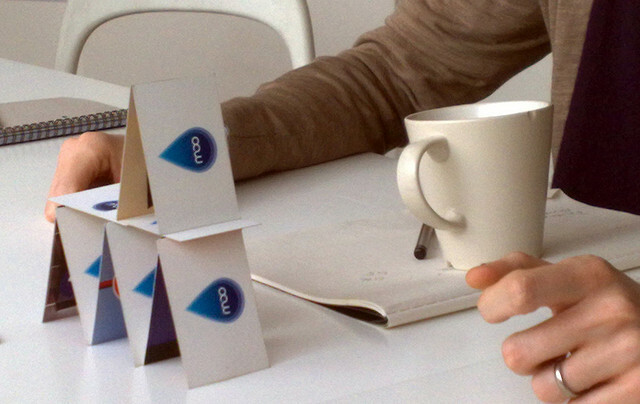 Planning poker warm up by fsse8info. Attribution-ShareAlike 2.0 Generic. 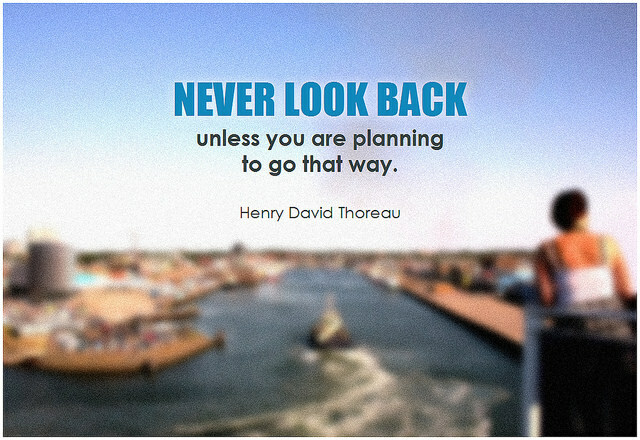 Henry David Thoreau Never look back unless you are planning to go that way by BK. Attribution-ShareAlike 2.0 Generic.